At Metro-Spaces, our first priority is putting others first: our clients, our employees, and of course, our planet. Our core philosophy of giving back has always been the fundamental reason for our existence. We welcome you to a new experience. We know New York can be just as intimidating for newcomers as it can be for longtime residents. Rely on Metro-Spaces to cut through all the confusion and trust our keen knowledge of the Manhattan area to get you the home you’re looking for. With Metro-Spaces you can find comfort in an uncomfortable real estate market. 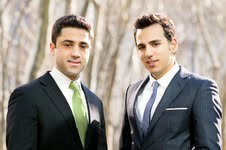 Metro-spaces founders left their positions with established real estate firms because they were disillusioned by the cold and impersonal nature of the real estate market in New York. Metro-Spaces only works with Manhattan’s most reputable landlords and does not do business with landlords they don’t know or trust. Metro-Spaces specializes in relocation whether you’re coming to New York from across the river or across the ocean. Multilingual assistance is available, and we can do the homework for you before you even get on the plane, train or car to New York. We know how to speed up the legal process in buying a space or signing a lease. Your satisfaction is our priority. It’s all about you, because without you, there’s no us. With years of Manhattan real estate experience and personal connections to hundreds of local landlords, Metro-Spaces professionals will help you find exactly what you’re looking for. As the saying goes, if you can’t find it in Manhattan, it doesn’t exist! Metro-Spaces not only offers peace of mind in finding your ideal Manhattan space but also because 10% of each sale goes to charitable organizations that helps the less fortunate in New York City and improves the local environment. We’re not just giving back to the community but to the planet as well We know Manhattan. We live in Manhattan. We work it, breathe it, sweat it and love it. Let us share Manhattan with you.